Though Jermaine Jones may have an alleged criminal history, is it grounds for his dirty laundry to be aired on national television? The dismissed contestant speaks! Earlier this week, we learned that contestant Jermaine Jones omitted an alleged criminal past to producers, consisting of two arrests and four current outstanding warrants. And though Fox gave fans a heads up that footage of his dismissal would air on Wednesday’s episode, even Jermaine Jones had no idea that it’d be a public discussion with American Idol executive producers Nigel Lythgoe and Ken Warwick. 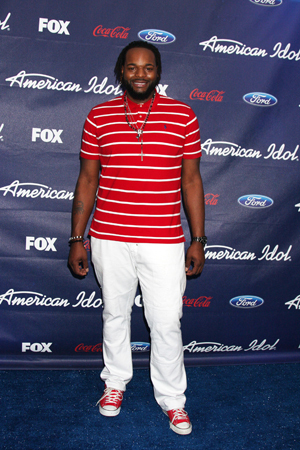 Jones claims that he did disclose that he was arrested in the past, but producers clarified that they cannot allow those with outstanding warrants to compete on American Idol — a detail that Jones was not aware of. “I did not know I was breaking the rules, because before I went, I had to obtain a lawyer and take care of some fines before I could go. I just thought everything was taken care of,” he explained.